Restoration of Independence Day is a Latvian public holiday observed annually on May 4. It commemorates the declaration “On the Restoration of Independence of the Republic of Latvia” adopted in 1990, shortly before the dissolution of the Soviet Union. Latvia proclaimed its independence in 1918. The independence of the Republic of Latvia received international recognition two years later. In 1940, the Soviet Union invaded and annexed Latvia because it was in the Soviet sphere of influence according to the Molotov-Ribbentrop Pact. 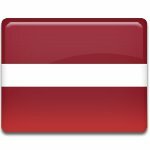 The Republic of Latvia lost its sovereignty and was renamed to the Latvian Soviet Socialist Republic. In the late 1980s, leader of the Soviet Union Mikhail Gorbachev started to introduce political, social, and economic reforms. His new policy led to the active development of national movements in the Soviet republics. Latvia was one of the first Soviet states where large demonstrations in support of autonomy and independence were held. On May 4, 1990, the Supreme Soviet of the Latvian SSR proclaimed the restoration of the country's independence. The anniversary of the declaration is one of the most important public holidays in Latvia. Full independence was restored on August 21, 1991, after the end of the transitional period.